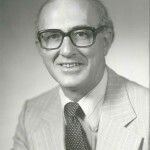 Dr. Bill Spray taught in the History Department at St. Thomas from 1968 until his retirement in 2000. From 1982 to 1989, he was Vice-President (Academic). He has published numerous articles, biographies, and books, including The Blacks in New Brunswick and New Brunswick: Its History and Its People. A Beaverbrook scholar, Dr. Spray completed his BA and his MA at the University of New Brunswick and his PhD at the University of London. 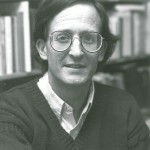 Dr. Tony Rhinelander taught in the History Department at St. Thomas full-time from 1970 to 2001 and part-time thereafter until 2008. He is an accomplished scholar who carried out research, wrote several articles, and presented papers in his specialty of Russian imperialism, in Canada, the United States, and the former Soviet Union. He wrote a biography of a noted nineteenth-century Russian imperialist, Prince Michael Vorontsov: Viceroy to the Tsar, and translated and edited a classic history of Ivan the Terrible by Vladimir Soloviev. He has a BA from Yale University, a BA and MA from Cambridge University, and an MA and PhD from Columbia University.